"We are delighted with the quality of paintwork and repairs, beyond our expectations and at a very reasonable price. Rod also excelled in communication skills, listening to our opinions and giving his own before finding the best outcome. He frequently sought clarification from us before progressing on to new parts of the work. We have already extended Rod's services from our roof to the whole exterior including some necessary repair work. We would, without hesitation, employ his services in… future and recommend him highly to others"
"Rodrigo has completed several jobs for me over the past 2 years. His work is increibly good and we really goes the extra mile. We had been away on a family holiday during one of the jobs which included interior work in bedrooms etc. Rodrigo knew we didn't get home until early hours of the morning so he put our furniture back so we could all just come home and go straight to bed. This was such a pleasant suprise (especially with a six month old in the house at the time). We will definitely… be using Rodrigo again for our up and coming alterations and would definitely recommend him!" "Good company to work with, friendly staff,no problems,good health and safety practices. Put in extra effort to get job done on time and to budget." "I have had the pleasure of working with Rod on a few projects with our house renovation. He's painted our entire inside of our house and also our roof. Rod always arrived when he said he would. He makes sure he uses safety gear to keep him and his team safe. Rod is also great to be around so we look forward to seeing Rod on our next project. I do recommend Rod to anyone and our family only use him." "I was very pleased with the repair job Rod undertook. It was water damage to several window surrounds and walls. This was done perfectly. Rod corresponded with me promptly with good advice .I would have no hesitation in approaching him again if painting work was required." "Rod has done several jobs for us and our extended families, we highly recommend Rod and his team to anyone that needs a painter. He is reliable and always takes the time to do the job to the highest standard. 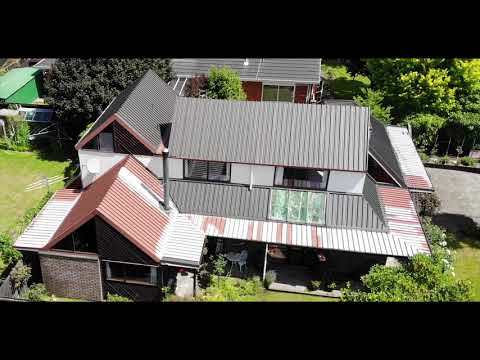 Rod is one of the best tradespeople that we have come across in Christchurch. " "Rod was recommended to us to preform a commercial job. As we are in Central Otago he said he had other work here and could do it at the same time to help save costs. Rod had everything prepared and his communication and punctuation was brilliant. He is very professional and so easy to deal with. Himself and his co-worker did an outstanding job and I would thoroughly recommend him. I wish all contractors were this good to deal with." "Excellent work done by Rod and in his team in two different houses. Punctual and perfect. GREAT!" "Excellent people to deal with. Great jobs completed quickly and without fuss or any drama"